It used to be that the only option for dental crowns was to visit the dentist at least twice: one visit for the preparation of the tooth and the impression and the second visit for the placement (once the lab had finally fabricated your custom crown). 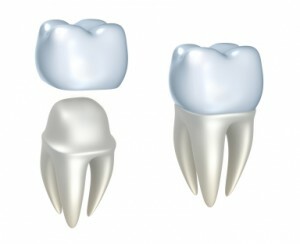 In between appointments, you would have to deal with a loose and inferior temporary crown. With the current computer programs and high tech machines available, you now have options when it comes to dental crowns; you can walk out from your dentist’s office with a same day permanent crown. The CEREC dental fabrication method allows your dentist to make a custom crown for your mouth in the office. In fact, your dentist won’t even have to place that goopy and messy impression material in your mouth. With a digital imaging system, your dentist will take multiple pictures from different angles of the tooth. The computer program will then create a 3D image of your teeth and design a crown that will fit perfectly into place. This digital model is then processed by the CEREC machine, which mills a crown out of clinically proven durable material. If you live in the Brentwood, Tennessee area and are interested in this procedure, give us a call here at Nashville Center of Aesthetic Dentistry. Doctor Dennis Wells DDS will be glad to meet with you for a free consultation.